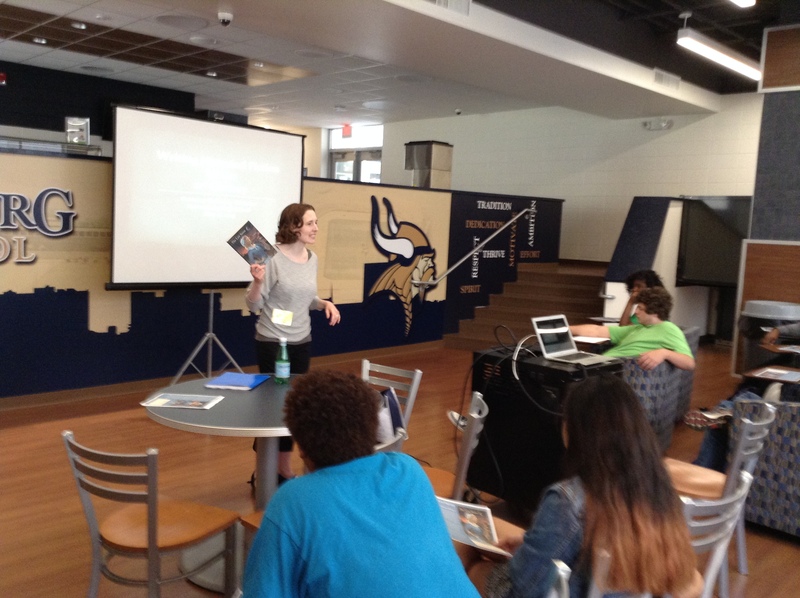 Courtney McKinney-Whitaker, author of The Last Sister, visited SHS this past Tuesday (May 12th) and spoke with Mr. Stuard’s social studies classes. She talked to them about her background as a reader, what classes she took in college, and talked about the writing process including showing a photo of her drafts stacked on top of each other (it was a TALL pile!). The students asked great questions, and Courtney kindly gave us an autographed copy of her book so students can find out what happened to the main character after the terrible catamount attack.